Make sure your candidate has an amazing uxperience. One of the best recruiting resources is word of mouth. At Zappos we call it a wow uxperience. 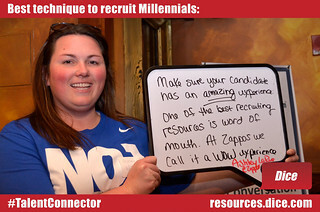 Ashley LaRue shares @Zappos' strategy for successful recruiting. SHRM 2012 Talent Management Conference & Exposition in Washington D.C.